The cabins are part of an old Pentecostal church camp erected in 1913. 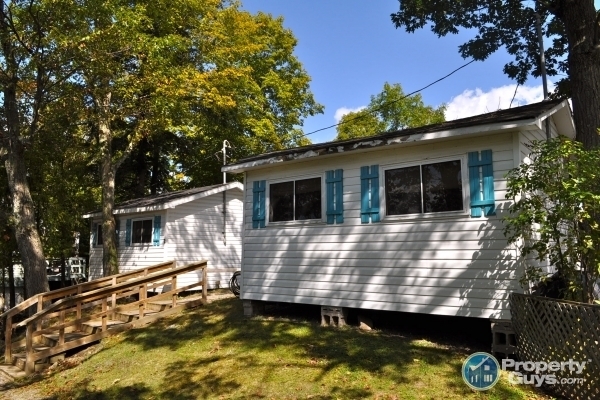 They are situated in a U-shape overlooking peaceful Waterlily Bay on Charleston Lake. All cabins have beautiful views as shown in the photographs below. "Charleston Heights" was purchased by the Bourbonnais family in December 2016 and renamed "Charleston Lakeside Retreat". The cabins are rustic, comfortable, clean and charming. We have a great vision for the cottages and property, and trust that the changes we'll be making will help to make you feel comfortable and welcome during your stay. We look forward to meeting you! If you have any questions, please do not hesitate to ask. Breathtaking views, great family atmosphere and much more! Perched on top of the hill looking over the lake, this tiny cabin has a three-piece bathroom, kitchen, living room, two bedrooms and a deck. If you are traveling with family, this cabin and its twin - the Lookout #2 are perfect to book alongside one another. (Recommended capaticy, 4. Maximum capacity, 5) . Perched on top of the hill looking over the lake, this tiny cabin has a three-piece bathroom, kitchen, living room, and two bedrooms and a deck. If you are traveling with family, this cabin and its twin - the Lookout #1 are perfect to book alongside one another. The Starlight cabin is at the base of the hill and close to the water. It has a kitchen, living room, three piece bathroom, two bedrooms and a deck. 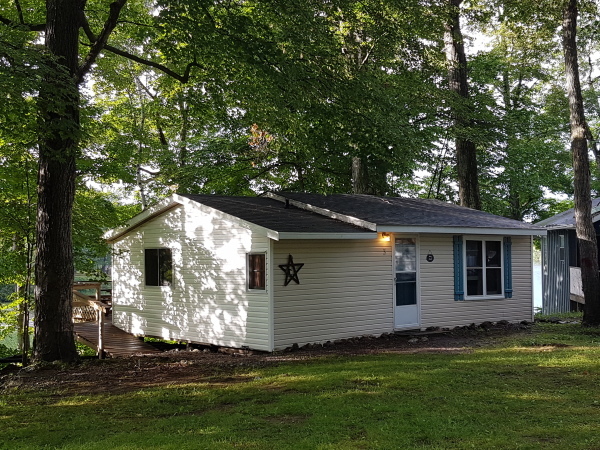 The Starlight is located beside the Lily Pad cabin making it ideal if you have family or friends in the Lily Pad! The Lazy Maple is surrounded by beautiful, mature trees overlooking the lake. 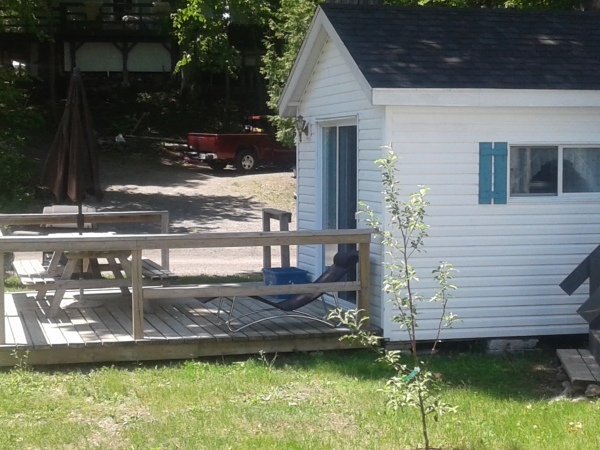 This cottage offers the most privacy and has a kitchen, living room, three piece bathroom, three bedrooms and a deck. 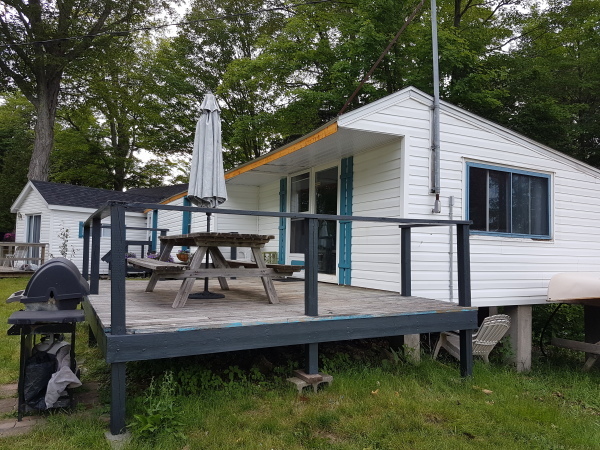 It is right on the lake and is equipped with a wheelchair ramp. 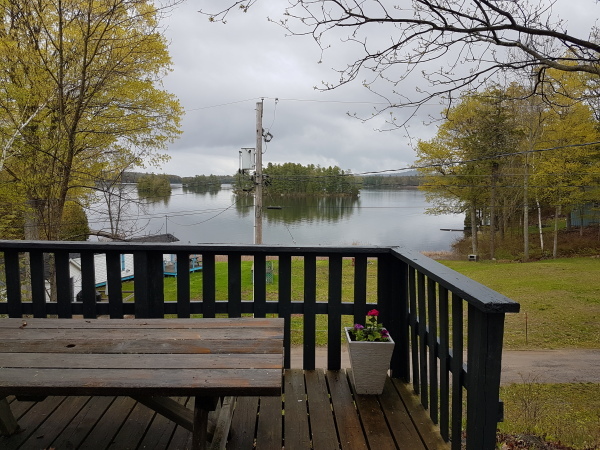 Our most popular and largest cottage - the Lily Pad is the closest to the waterfront and has a kitchen, living room, three piece bathroom, three bedrooms and a deck. 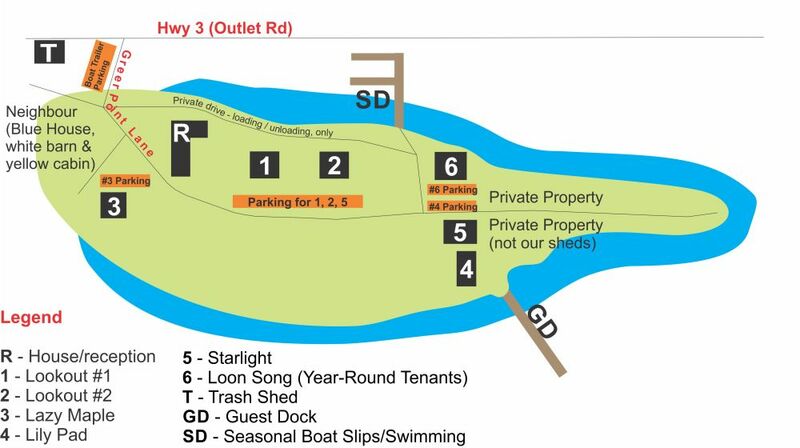 The Lily Pad is located beside the Starlight cabin making it ideal if you have family or friends in the Starlight! Prices listed are for peak-season. 50% deposit is required upon booking . For off season rates and more details - please visit our rates page. Questions? Interested in booking your vacation with us? Leave us an email - we are happy to help!